How can we protect our children from unhealthy food advertising? 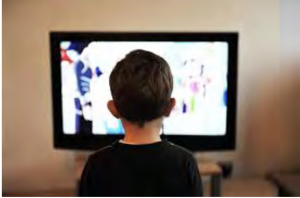 Reducing children’s exposure to powerful unhealthy food and beverage marketing is key to meeting this vision, according to health ministers globally. The evidence snapshot has been prepared for Activity and Nutrition Aotearoa and the Auckland Regional Public Health Service by Professor Louise Signal, Dr Michelle Barr and Dr Moira Smith of the Health Promotion and Policy Research Unit, University of Otago, Wellington. What is unhealthy food marketing and how does it work? What is the evidence in NZ? What are the views of children and parents and caregivers? What action is needed- locally and globally? What has been achieved internationally? What is the NZ regulatory framework for food marketing? What public policies need to be established nationally, locally, organizationally and within the community in order to bring about change? If you would like to discuss this further or access nutritional help with overweight or obese family members then contact us today. Next Are you keen to reduce food waste this Christmas? Exercise tips..time to get cracking everyone!